With the second Grand Slam of the year completed the ranking changes this week will feature significant drops and encouraging highs as the points gained or lost are at their highest values. Therefore it seems an appropriate time to assess how the ATP and WTA tour rankings look heading into the grass court season and how some of the players being tracked on this website are progressing. 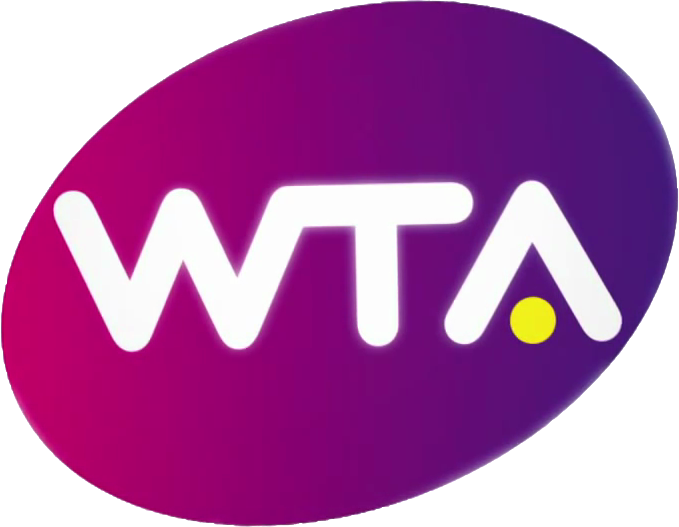 The biggest news, and the main brunt of it in all honesty, comes from the WTA tour. Heather Watson’s five match winning run which saw her through qualifying and into the second round of the main draw has been rewarded with a top 100 place. It’s the first time the 19-year-old has been in the top 100 and she has a great chance of getting higher this year as she’s entered the Aegon Classic and Wimbledon should give her a wildcard if she can’t qualify automatically. 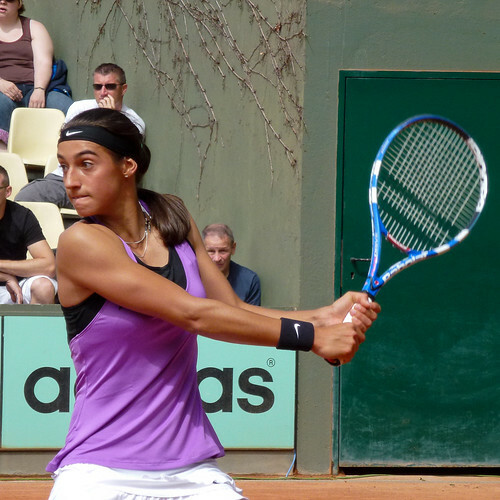 Another big mover is Caroline Garcia. The 17-year-old almost pulled off the shock of the tournament after being two games away from beating Maria Sharapova in front of her home crowd but her first round win, with some help from her own wildcard, entry means she’s risen 38 places to #150. Other young players who’ve made big strides are American Christina McHale, Canada’s Rebecca Marino and Romanian Sorana Cirstea. Sabine Lisicki is back in the top 100 having made the third round and Vania King has reached #85 which is an increase of 30 places. In terms of the top 10, there is good news for Petra Kvitova who’s at a career high world number eight whilst the chasing pack of Andrea Petkovic, Anastasia Pavlyuchenkova and Julia Goerges have nudged ever closer to the next level. Strangely enough it’s China’s Li Na who’s become a superstar at the age of 29 after becoming the first Asian player to win a Grand Slam title. Not many put that bet on two weeks ago but then again the same could be said of last year’s winner and her opponent in the final Francesca Schiavone. A similar scenario is emerging in the ATP tour in that the titles are being won by older players. There really isn’t a new generation coming through yet in the men’s game with Rafael Nadal, Roger Federer and now Novak Djokovic favourites to win every major, masters series and world championship final. Two of the above are undoubtedly modern-day legends and until they either retire or become awful then the sport will continue to be dominated by them. Looking to break the dynasty are the likes of Milos Raonic and Alexandr Dolgopolov, who have dropped a place and gained one respectively. They seem to be the only young players with top 10 potential at the present time. Marin Cilic and Ernests Gulbis had that at one point but the former has gone down six places over the two weeks and 13 places in total from the start of the year. Gulbis, incidentally, has actually gone up five places. There are other ways of becoming a tennis superstar though. Just making the top 50 these days gets you noticed whilst you can still be big in your home country or continent, which Li Na has proven and Kei Nishikori is still striving for. The Japanese 22-year-old is down a place but is still up 38 from the start of January. The American situation is also intriguing with their supposed lack of depth but Mardy Fish and Andy Roddick have both returned to the top 10 but youngster Ryan Harrison has moved down three places to #122. The men’s tour is interesting. It seems to be in different leagues right now. But still, the young players, and even some old where warranted, will continue to be charted here whether that be in the top 10, top 100 or number one in Kazakhstan. Britain’s tennis history has a bad reputation. Constantly the press remind us it’s been x amount of years since Fred Perry became the last man to win a major title with that number currently standing at 75. Although not as bad as the males, it doesn’t make for better reading when you look at the women’s game either. If you take a journey back through the decades you’ll find the likes of Virginia Wade and Sue Barker winning Grand Slam titles in the late 1970’s. Now their great achievements are limited to mere captions on Wimbledon’s annual summer coverage. Having not enjoyed any success in the womens’ singles for more than 40 years now there seems to be more of a desire to have a top ranked British female to support alongside Andy Murray. Not since Annabel Croft has a female star emerged from the UK and even she quit the sport at the age of 21 despite winning both the Wimbledon and Australian Open juniors in 1984. Instead Britain’s female tennis players are in effect long distant relatives. Whilst you may only see your great aunt on birthdays or at Christmas the British public only see the likes of Katie O’Brien and Melanie South once a summer as a wildcard entry into the first round of Wimbledon. Once amongst those wildcards were Elena Baltacha and Anne Keothavong who have now gallantly broken into the top 100 but have a combined age of 54. Though they may have four or so more years competing at high levels on the WTA tour, the chances of them holding down a top 20 place or going on a great run at a Grand Slam are dwindling every year. The hopes of the success-starved nation rests instead with Laura Robson and Heather Watson – the prodigal “sons” so to speak. Since winning the Wimbledon girls’ singles title as a 14-year-old much has been expected of Melbourne-born Robson. Despite her 239 world ranking she is seen as Britain’s finest hope of repeating those 2008 scenes on the senior tour. Watson, the third best female tennis player in Britain aged just 18, sits 108 places higher than her fellow Brit. In 2009 she won the US Open juniors which you may not know much about due to the media spotlight surrounding the potential future pin-up girl Robson. Neither has yet won a WTA title but at the moment it’s a matter of amassing ranking points via qualification rounds and a few runs on the bigger stage. Robson missed out on the 2011 Australian Open’s qualifying event due to injury which has also seen her position in the world rankings fall. This year she’s based in Paris with a new coach in Patrick Mouratoglou who’s seen previous success guiding Marcos Baghdatis and Aravane Rezai into top 20 players. Whilst Robson will probably take a few months to break through properly, Watson is pretty close already. Quarter-final runs in the Auckland Classic and Cellular South Cup this year have given her valuable experience against quality opposition and the environment of larger courts and crowds. Should the pair’s progression continue at its current rate this year’s Wimbledon audience might be introduced something to shout about for many summers and tournaments to come. You can follow the fortunes and thoughts of both Laura and Heather on Twitter but be sure to check back to Ace of Baseline for the latest news on the young duo.